If you are planning to sell your house in future or may be today, experts say that solar panels increases the value of the house by 6%. It is a lot easier to sell a house with solar panels as compared to the ones that are without it. The main reason behind it is that the new family, which will live in the house, would be free from the high electricity bills. Moreover, they will also enjoy the feed in tariff regimes. When the rates of electricity are increasing every year, a house with a solar panel is no less than a heaven. Many say that they cannot alone change the scenario of increased pollution in the environment. Solar panels have changed this mentality of people. If one uses solar panel on their house, they will reduce up to thirty tonnes of carbon dioxide over the system’s lifetime. Thus, your bit will be surely counted and would definitely bring change in the environment. Solar panels provide the user with low upkeep. They don’t require much maintenance just keep them free from snow and leaves other than that solar panels will never bother you. Most companies provide twenty-five years warranty for the solar panels. 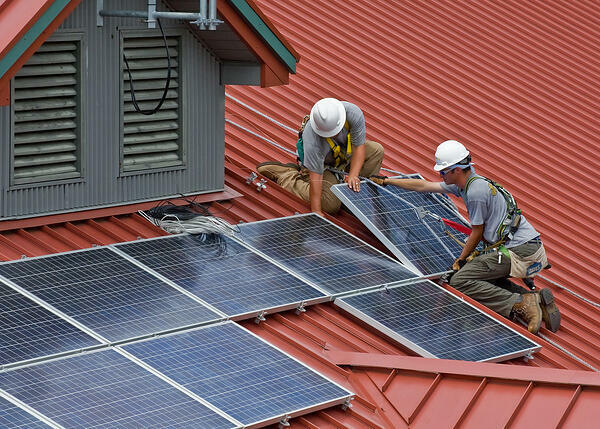 No other schemes or saving accounts will provide such return rates than the installation of solar panels. It is ensured that for twenty-five years or more your installation is tax free and installation guaranteed. One of the best reasons to install solar panels in your offices, homes, schools etc. is that they have no drawbacks or side effects. All you need to do is enjoy the perks conferred by the government for installing them. Aforementioned points are some of the reasons to get your place equipped with solar panels. If you haven’t installed them yet, it is a good time to look into it as the prices of solar panels have dropped drastically in the last couple of years. Moreover, with so many money saving benefits, install solar panels and enjoy electricity at low rates while saving the environment as well as money in the long run. About the Author: Ashley Elizabeth blogs to share knowledge and provide solutions.